Ian Birch's engaging Iconic Magazine Covers shows how magazines and their covers not only reflect social change -- they can also help bring about social change. With its thick glossy paper and color illustrations, Iconic Magazine Covers: The Inside Stories Told by the People Who Made Them is visually impressive. The content, featuring interviews with the photographers, writers, designers, and editors behind these iconic covers, doesn't disappoint either. The visuals and text combine to make Iconic Magazine Covers a powerful book and a reminder that much like good film and literature, a good magazine cover tells its own story and is impactful ten, 20 -- even 60 years later. Ian Birch begins in 1958 with the magazine One. It cost 50 cents. The cover had an illustration of a man, but most likely the text is what grabbed people's attention. It read: "I am glad I am homosexual." The accompanying analysis of the cover notes "What's striking about this cover is how big the words are – huge letters proclaiming that in a shocking, daring way… I would describe it as prideful stoicism that says, 'I have the right to exist.'" It's a wonderful way to begin—a simple statement that is both powerful and, given the various witch hunts of the '50s, brave. This cover also makes an important point: magazines and their covers not only reflect social change -- they can also help bring about social change. The last cover in the book is the November 2016 cover of Private Eye. The text reads "Brexit Latest" and the image of a rusting red bus that follows suggests that the "wheels have come off" the Brexit bus. The cover was not entirely well received, but as editor Ian Hislop notes, "You can't just ban everyone you don't like. That's not really how it works. And, again, if you've won the election or you've won the referendum, that doesn't mean everyone has to shut up for ever. The argument goes on—that's the other bit of democracy." It's a nice way to end this work. Perhaps a not so subtle reminder that magazine covers, the best ones at least, are also an expression of democracy. In between One and Private Eye, Birch, of course, explores a range of magazine covers. 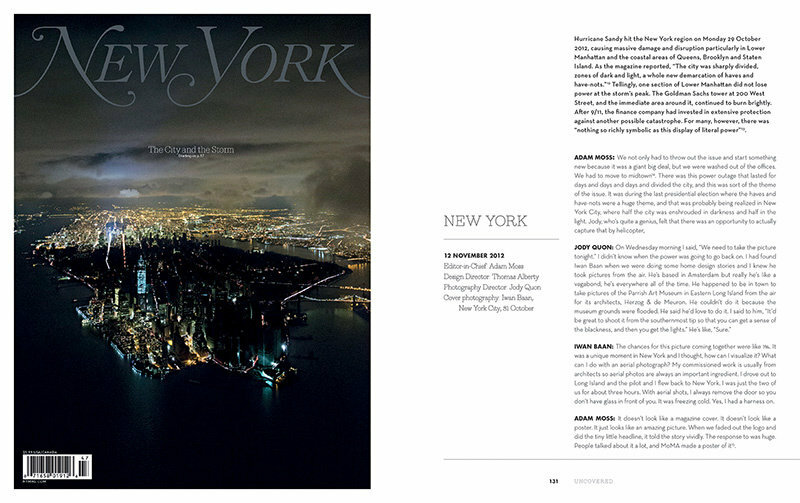 He includes mainstream publications like Vogue, National Geographic, and Rolling Stone. The book also includes covers from now defunct magazines (anyone remember Spare Rib or Disc and Music Echo?) and from special interest publications like Management Today. Some covers might be expected—the August 1974 American Vogue cover that featured Beverly Johnson, the iconic supermodel who was the first woman of colour to appear on the cover of American Vogue, or Rolling Stone's 1981 cover of John Lennon and Yoko Ono that Annie Leibovitz photographed the same day Lennon was assassinated. Others are less familiar, but just as interesting, such as the 1971 cover of Nova that "has been credited with the invention of street style" or the 1978 Sounds cover story about race and deportation in England that one of the creators described as "a spontaneous demonstration: we felt a real sense of the responsibility that we could make a difference. You can't be a rock and roll magazine and allow racism." Many of the covers Birch selected will undoubtedly stir emotions—some pleasant and some not. The crying newborn with umbilical cord still attached from the 1991 Autumn issue of Colors is as attention-getting now as it was then. The photograph of Kent State students tending to a wounded friend on Life's May 1970 cover will always evoke strong sadness and anger. Certainly The Economist's "coital camels" cover that partnered two mating camels (which is not a pretty picture) with the text "The trouble with mergers" is as uncomfortable to view now as it was in 1994. There are proud moments as well—particularly when the magazine covers signify important social changes. The July 1965 issue of Cosmopolitan, the first after Helen Gurley Brown took over as editor of the publication, sold out and by December Cosmopolitan's ad revenue was up 50 percent. 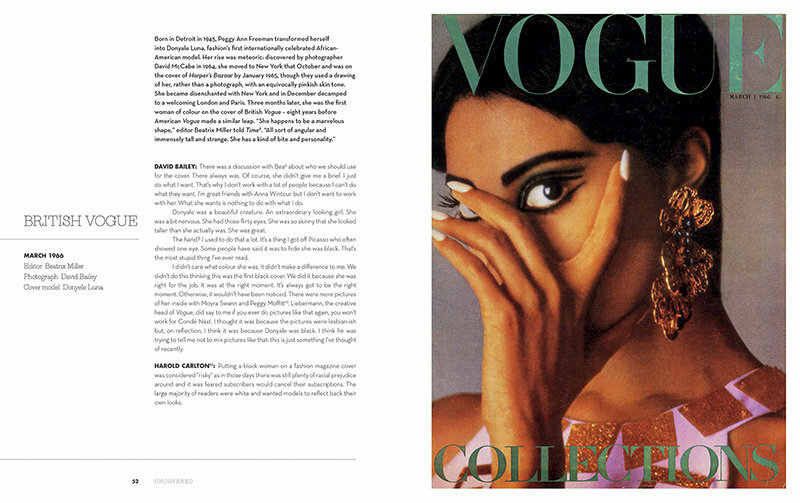 While Beverly Johnson's 1974 Vogue cover may not have been popular with other models, readers liked it and liked it so much that Johnson reappeared on the cover ten months later. Some covers indicate just how little has changed. The Spring/Summer 1992 cover of Colors is a photograph of Albanians trying to flee their country. As editorial director Oliviero Toscani notes "The immigration cover is very modern, still today. It wasn't new at the time. That's an issue that goes on forever." Colors was known for its controversial covers, but Toscani believes editorial philosophies regarding magazine covers have changed: "A cover has to provoke a reaction. Since marketing took over, provocation is a bad word. We have to eat everything soft, tasteless, chewable, digestible…"
It's an interesting point, and it's easy to wonder how many publications today would knowingly create a cover that could hurt their bottom line, which is what Esquire seemed to do in the early '60s. Esquire's December 1963 cover featured professional boxer Sonny Liston in a Santa hat and reportedly "cost the magazine $750,000. They lost a lot of clients, all Southern accounts, a lot of Southern textile mills." 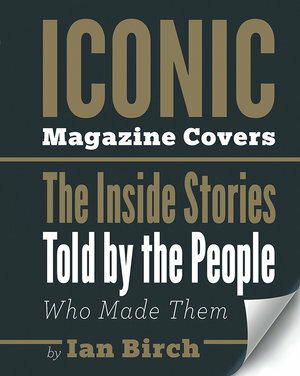 According to George Lois, who designed the cover, editor Harold Hayes "wasn't perturbed" by the losses; in fact, Hayes thought the cover "really made" Esquire. Of course, Birch had a particular viewpoint when he selected the covers for this book. As he states, "... [T]he covers here are different. I didn't choose them on the basis of sales—their newsstand numbers fluctuated between the dismal and the dynamic. I chose them because they broke boundaries and started conversations. They made a moment feel red-hot and meaningful." Much like each individual cover, Iconic Magazine Covers is a wonderful conversation starter. It positions magazine covers as cultural artifacts and historical touchstones and makes it easy to compare covers, to see if backstories change our interpretations, to see how far we've come, and to see where things have barely changed at all.